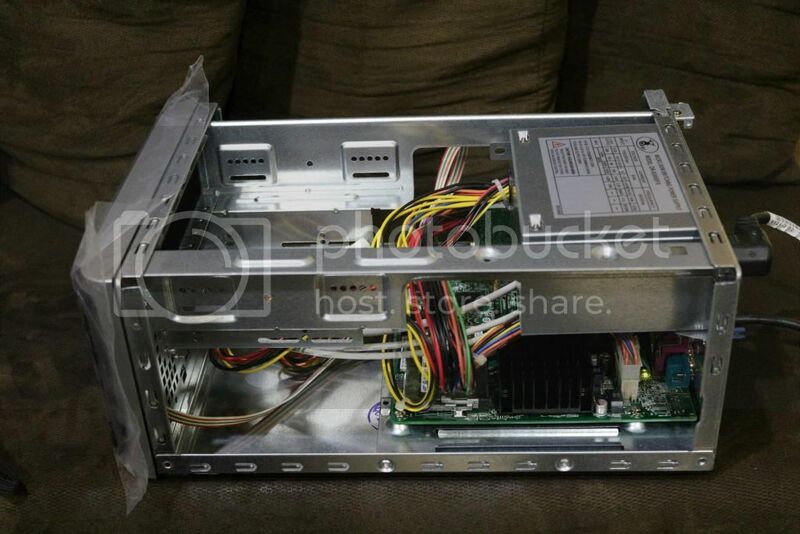 After a couple of weeks trying to assimilate myself with pfSense on a sandboxed environment, I finally gathered up the courage to build an appliance using an Intel Atom board. 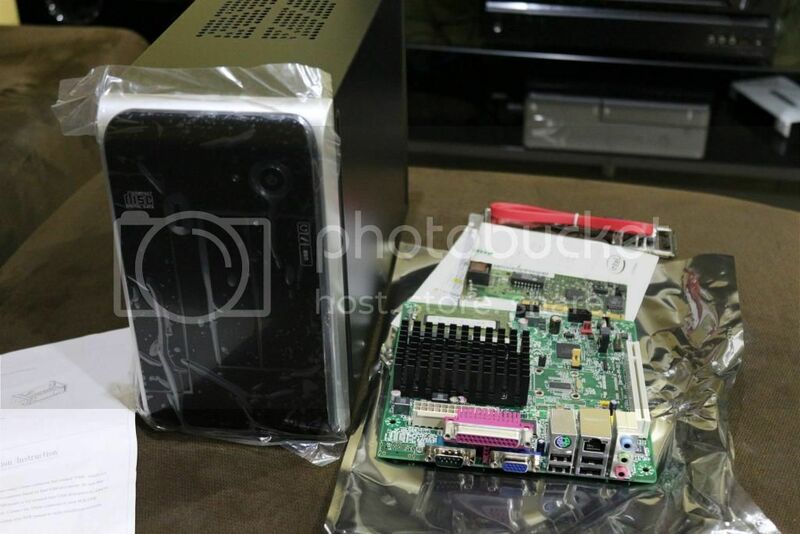 This will eventually replace the Cisco router/firewall I have running for several years. 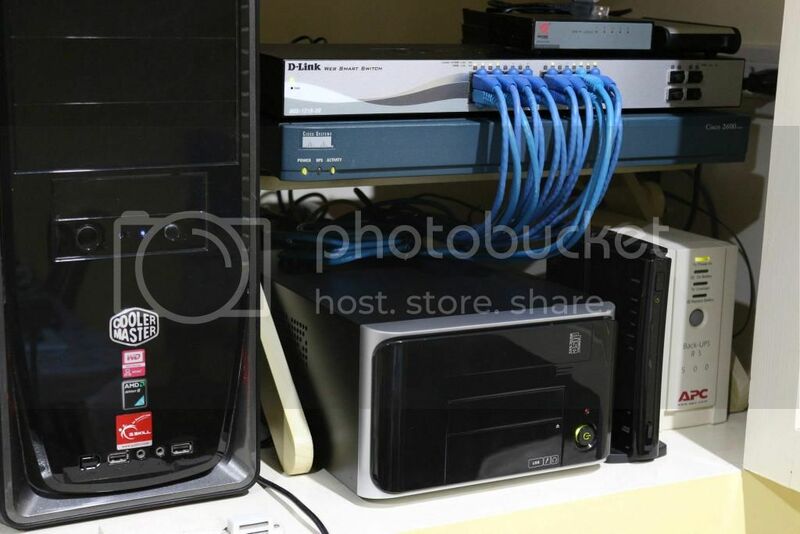 The pfSense box is essentially setup with Squid3 in Transparent Proxy and SquidGuard3 as the content filter. The appliance is connected behind the Cisco router (for now) so I can still do the tweaks behind a test network without disturbing family members' access to the internet. When I'm done, it's just a matter of simple network re-patching and LAN+DHCP address change on pfSense. Almost fully-assembled save for the hard disk. I eventually found an old 40GB in my junk pile that seemed to work well. Now in its own little nook in my datacenter-cupboard. It will soon replace the Cisco above it. 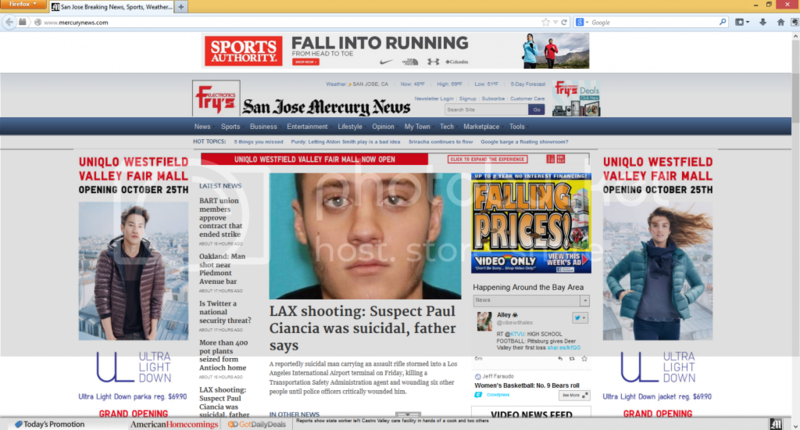 Testing out the ad-blocking capabilities. 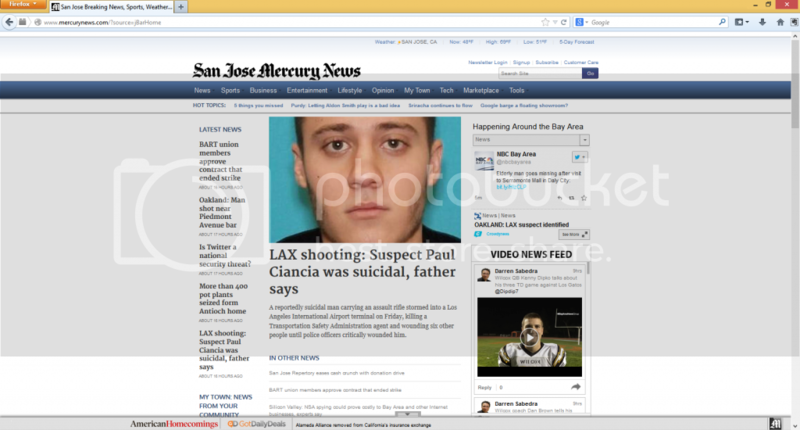 Below are the before and after screen grabs off the Mercury News website. In both grabs, I have Ad-Block Plus disabled in Firefox. Wow. I have pfblocker enabled and every ad on that page shows up. Am running squid not the squid3 beta. What lists are you using in pfBlocker to block the lists? Or is this done with squid? All my attempts at blocking ads and child-unfriendly sites has been a failure with pfBlocker. I'm likely more to blame though, I suppose, by not doing it right. But I believe in results, and so far, Squid3+SquidGuard3 has provided me the kind of content filtering that I need. For the ads, I'm using a list from this site: http://pgl.yoyo.org/as/ plus a few custom ad domains I've added on my own. But what if I really want to buy a coat? Squid3 is still beta. Any reason you've used it over the stable squid release? I may be reading it wrong but, according to this site: http://www.squid-cache.org/Versions/, Squid 3.1.20 (the version of Squid installed on mine) doesn't indicate it as a beta. If any, it is an older release. The current stable release is Squid 3.3, while Squid 3.4 is currently the 'new' beta. Do correct me if I'm wrong. FreeBSD, Linux, and the universe outside of Microsoft is alien to me. I just recently started to get my feet wet so go easy.